ACIP’s home since January 2014 is Le Bastion, 5 bis Rue Bastière, Le Bugue. Already a large and beautiful room with high beamed ceilings, stone walls and plenty of light, our superb room was once a cinema and then a gym. A significant refurbishment project, carried out in the Autumn of 2013, was led by our then Vice President, John Kuppens, and a team of ACIP members who volunteered their time and their skills. Together, they transformed the room to meet our many and varying needs. 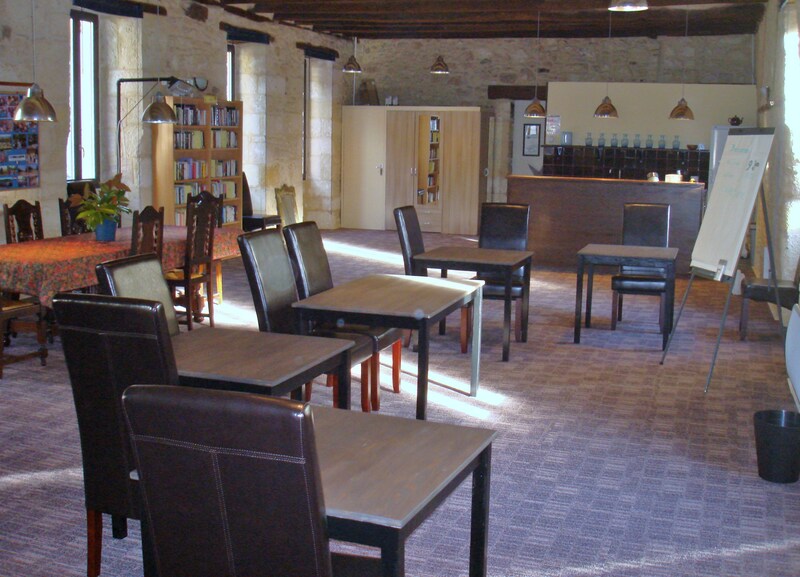 Le Bastion now gives us a spacious, comfortable, flexible and rather spectacular space for group activities, small social events and drop-in sessions. Furnished to a high standard, we have a well equipped bar and small kitchen, toilet facilities, a music system, a large screen for showing films and an office space. 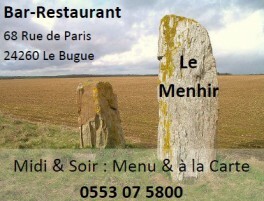 We are able to house a library of books in English, French and Dutch. 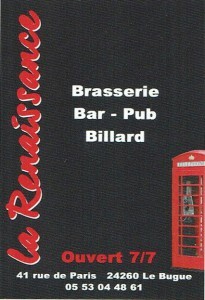 Above all, Le Bastion has a welcoming relaxed atmosphere – a place to meet, greet, learn, chill out and of course have fun. PLEASE NOTE: For the comfort of the wider membership, pets are not allowed in Le Bastion. 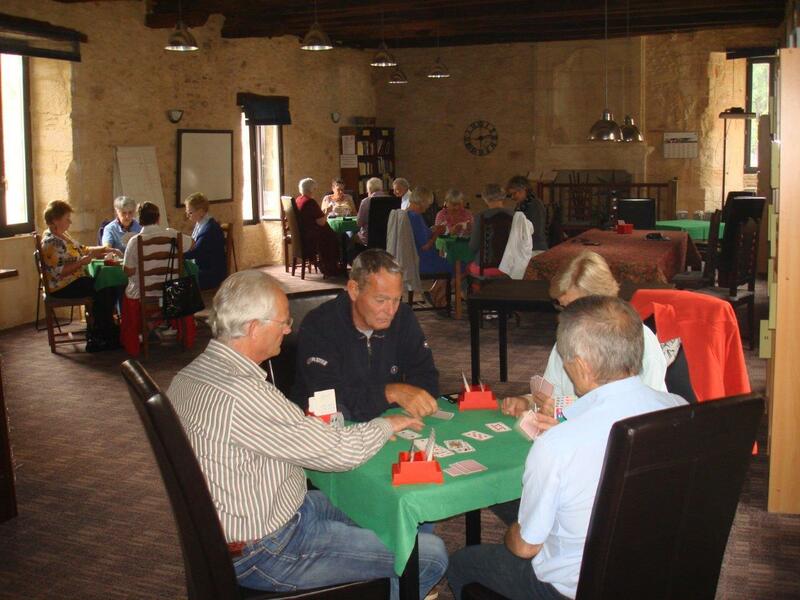 Other venues: For some events, we have the use of other venues in Le Bugue such as the Salle de Eugène Le Roy, Port Vézère and the Tennis Club, plus on occasion other salles such as the beautiful one in Audrix.